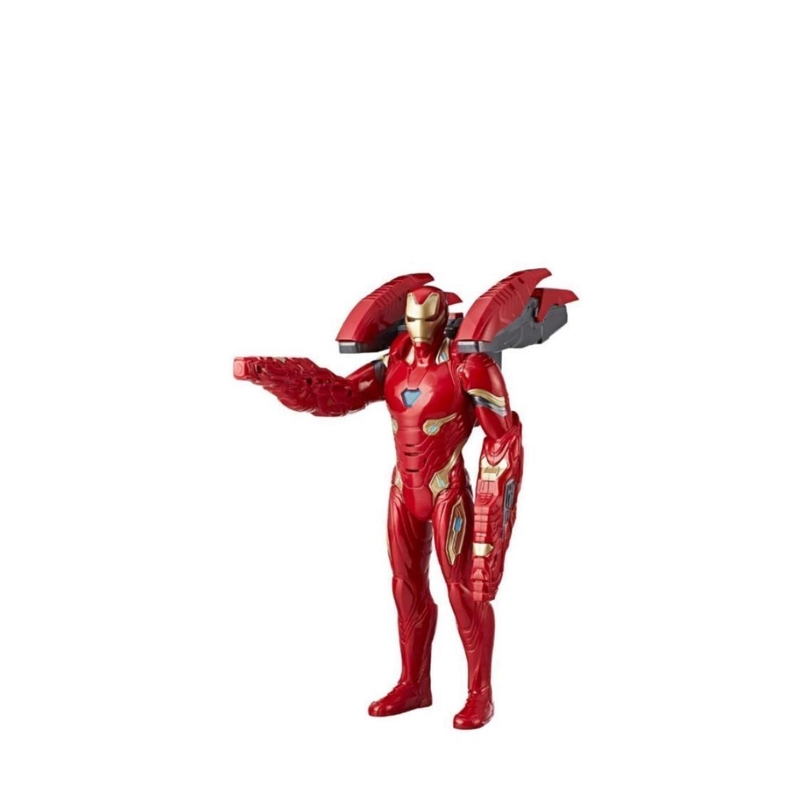 Imagine the tech-powered hero blasting into action with this 14-inch scale Mission Tech Iron Man figure, featuring lights, sounds, phrases, and extendable combat pack! Activate awesome Iron Man phrases including, “Iron Man, locked and loaded,” and “Iron Man, reporting for duty,” as well as Avengers: Infinity War-inspired battle sound FX and repulsor light effects when kids press the center button. Attach the included combat pack and raise the Iron Man figure’s arm cannons to imagine entering combat mode with battle sounds and phrases, and push the button to slide the extendable combat pack forward to imagine even more Stark-inspired technology. 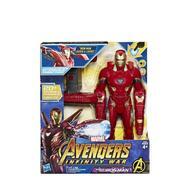 With Mission Tech Iron Man, kids are ready to imagine sending their favorite tech-powered Avenger into action!